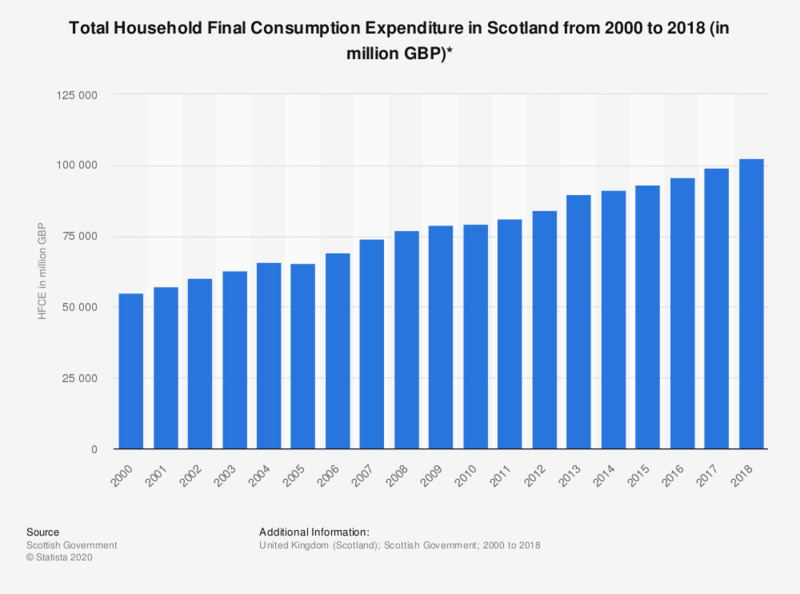 This statistic shows the total household final consumption expenditure (HFCE) at current prices in Scotland from 2000 to 2017. The total household expenditure increased over this period. In 2017, the total HFCE amounted to approximately 100.7 billion British pounds. In the past 12 month, did you buy and/or sell bonds?